Miss Watts (School Mistress) on left with her girls in Rectory gardens. See note below. Photo copyright of David Brookfield. Florence Burnham 1893-1973, my 3rd cousin, 2x removed. Daughter of George Burnham 1866-1942 and Emily nee Shore 1866-1934. 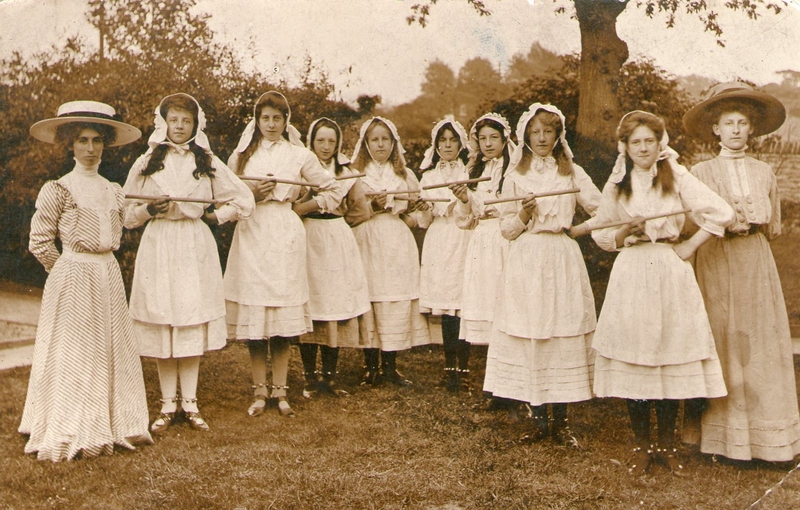 Miss Watts (School Mistress) on left with her girls in the Rectory garden.